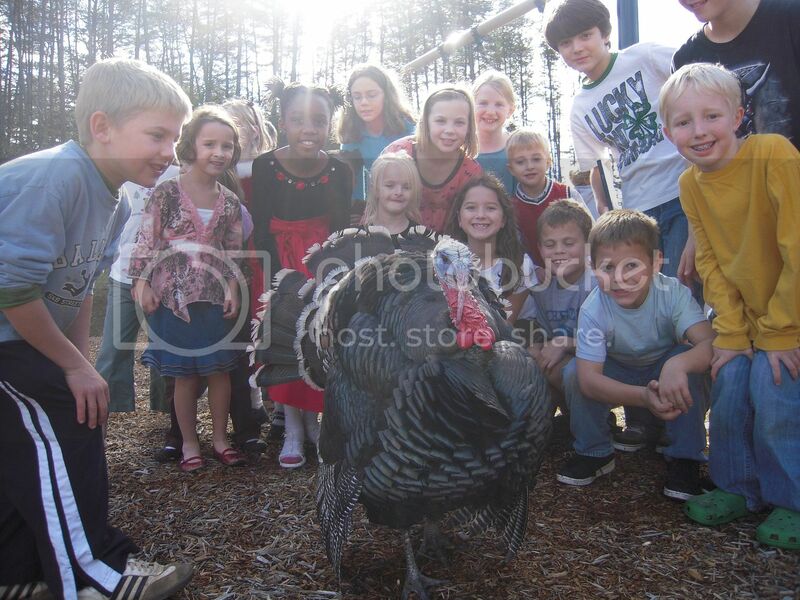 As most of you were pulling frozen turkeys from your freezers on Tuesday, my homeschool group was enjoying a real live turkey day. He was surely strutting his stuff for us all. Males put on a show to attract a harem of females. 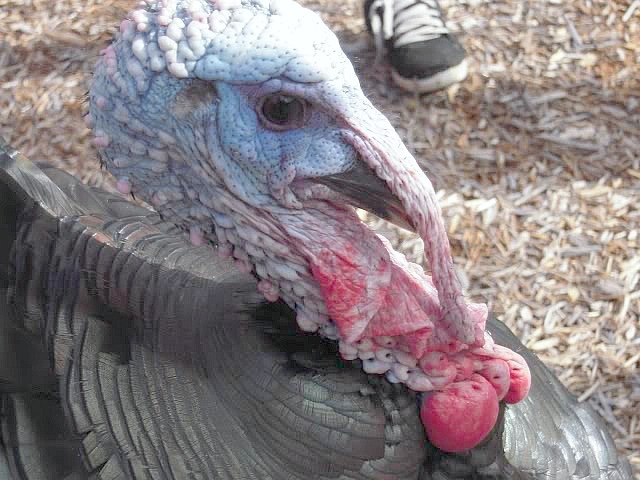 They fan their dark, iridescent tails like a peacock, call gobble-gobble, and their gray head changes color to blue, red, or white depending on their emotions. 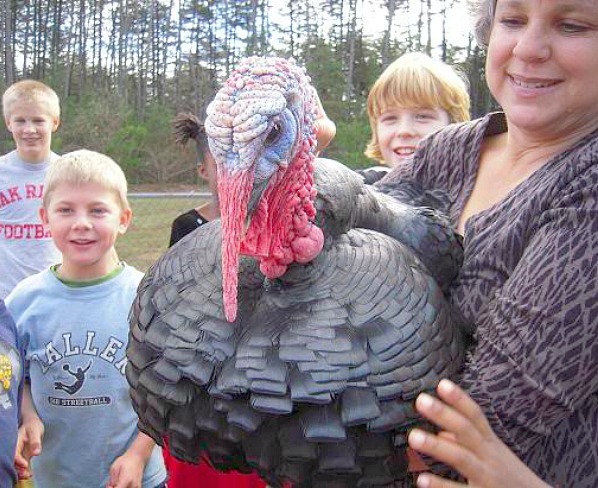 I don’t think I had ever heard a live turkey, and they truly call gobble. Just for you, I googled “Turkey body parts” because my friend shared that when the “wattle” turns from grey to red, Buzz is basically flirting with us. (Wattle: Red, fleshy lobes hanging from the male’s throat and chin). I was getting nervous I might need to do a “birds and the bees” talk when the owner confessed they had nicknamed him Cialis. (Now, I’m even more concerned because I had to google the spelling of that word and obviously quite a few people using this hotel computer were interested in more than just the spelling….eeww…yikes…it saves in the memory of this search feature!! Sheer bedlam! 🙂 ) Yes, I’ve tangent-ed at midnight. As you can see, it was quite a fun “hands on” learning day for the Classical Conversations group that I direct. Thank you, Sue, for sharing Buzz with us for lunch. And just to let you know, I had beef on Thanksgiving, in honor of Buzz. 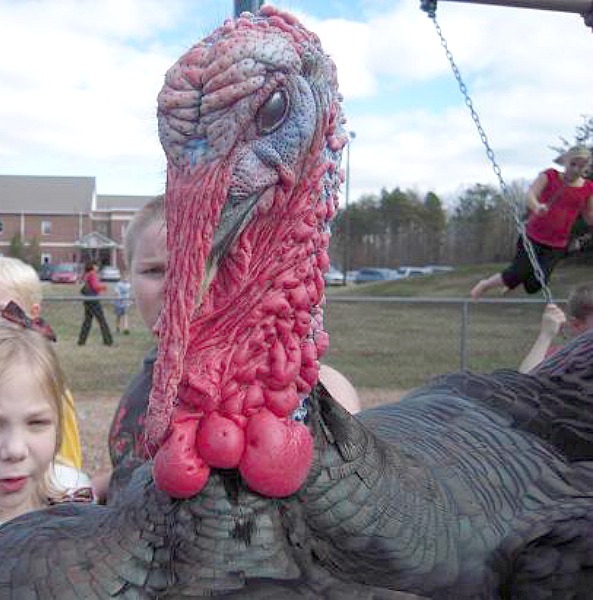 Wow, that’s one ugly bird! Makes me feel better about eating them. Glad you had fun with Buzz. The kids must have had a blast with the hands on learning and all the memories that were created! 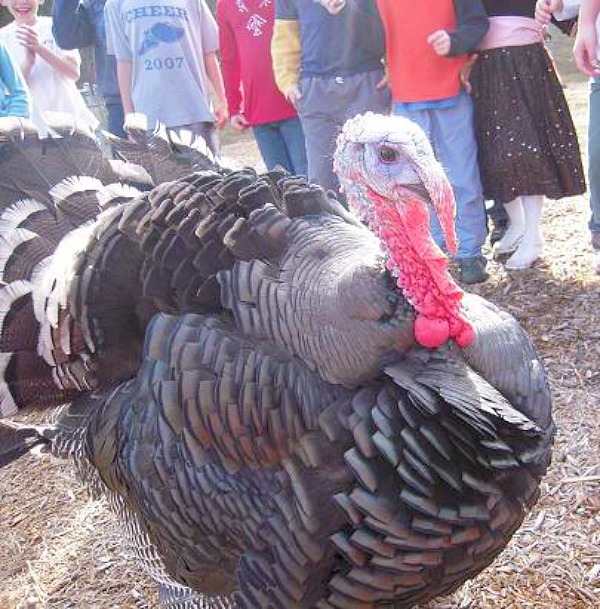 Wow – the feathers on that turkey are just amazing! I actually thought it was fake in one of the photos because the feathers are just so uniform and the pattern is just magnificant! What a fun and very informative day! He doesn’t even look real!